Mars Petcare acquired OptiGen, LLC, a DNA diagnostics company specializing in canine inherited eye disorders. Included in the acquisition are exclusive licenses to a portfolio of genetic disease tests patented in the U.S., Australia and many countries in Europe, and an extensive biobank of more than 150,000 samples collected over 20 years representing various canine eye diseases. Moving forward these samples will be used to discover new genetic health markers for dogs. "Through our pioneering Wisdom Health business, Mars Petcare is leading the discovery of new genetic markers for pet health. 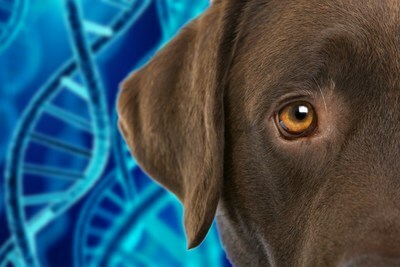 As our scientists seek to improve the understanding of the genetic basis of pet health and disease, this acquisition will contribute to the development of personalized veterinary care," said Leonid Sudakov, President of Connected Solutions, the global ventures, consumer technology, and genetics division of Mars Petcare. "We see our continued efforts to contribute to the ground-breaking companion animal genetics science as a great way to deliver on our purpose: 'A Better World for Pets'." With this acquisition, WISDOM PANEL™ genetic test kits will now be able to detect over 185 genetic disease mutations that will help breeders select the best breeding matches for genetically healthy offspring. "DNA testing is the only way to detect carriers or affected puppies with late onset forms of inherited canine eye disorders. Working with breeders, we can help decrease the incidence of these disorders in the future," said Cynthia Cole DVM PhD, DACVCP and General Manager of Wisdom Health, Mars Petcare's companion animal genetics business. "We're at a pivotal time in companion animal genetic research, and with this acquisition we will add to the growing body of knowledge to help veterinarians' ability to predict and treat inherited eye disorders for dogs." "This acquisition is a welcome and natural evolution of OptiGen's 20 year history of working with conscientious dog owners, breeders, clubs and canine health registries around the world," said Sue Pearce-Kelling, OptiGen's President. 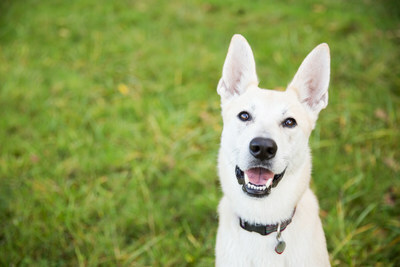 "OptiGen's and Wisdom Health's shared commitment to providing the highest quality of DNA testing for dogs while also supporting research aimed at identifying new genetic markers for inherited diseases, as well as our mutual respect for intellectual property where it exists in the field, makes this an excellent fit." The acquisition was finalized 10 April 2018, and the companies will manage the transition over the course of 2018. Genetic tests can detect which animals are carriers for specific diseases, so breeders can avoid mating them with other carriers. 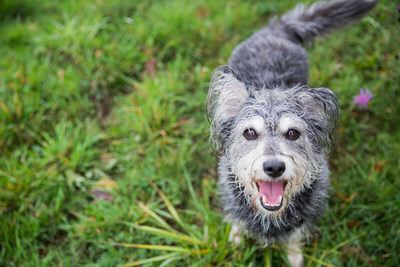 Genetic testing can identify mixed-breed dogs at risk for developing genetic conditions that would otherwise go undiagnosed; allowing earlier intervention and/or counseling to help the owner understand the condition and know what to expect. The initial products to incorporate these genetic tests for canine eye disorders will be OPTIMAL SELECTION™ and MY DOG DNA™ designed for breeding dogs. Wisdom Health is a business unit of Mars Petcare, the U.S. operations of the world's largest pet care company at the privately-held Mars, Incorporated. For more than a decade, Wisdom Health has developed state-of-the-art genetic tests for companion animals, revolutionizing personalized pet care. The Mars, Incorporated acquisition of Finnish technology company, Genoscoper, in 2017 enabled Wisdom Health to double their R&D group and help facilitate further product development for international markets. By unlocking the secrets of their dog or cat's genetic health and ancestry, owners, breeders, and veterinarians can work together to tailor wellness programs that fit the one-of-a-kind needs of their unique pet. For more information, visit http://www.wisdompanel.com and http://www.genoscoper.com/en or join the conversation on Facebook, Twitter, Instagram and YouTube. Mars Petcare is a diverse and growing business with 75,000 Associates across 50+ countries all dedicated to building 'A Better World For Pets', by serving the health and nutrition needs of almost half the world's pets. With over 75 years of experience, Mars Petcare has developed an enviable portfolio of almost 50 brands, including the leading global pet nutrition brands PEDIGREE®, WHISKAS®, ROYAL CANIN®, NUTRO®, GREENIES®, SHEBA®, CESAR®, IAMS® and EUKANUBA®. Mars Petcare is also the world's largest veterinary health provider through a network of over 2,000 pet hospitals including BANFIELD®, BLUE PEARL®, PET PARTNERS®, and VCA®. The company is also at the forefront of emerging innovation and technology for pets, pet owners and veterinarians, with WISDOM PANEL™ test kits, which utilize a patented genetic technology for dogs, and the WHISTLE® GPS dog tracker, as well as the Leap Venture Studio accelerator and Companion Fund programs to support startup innovation and the next generation of disruptors in the pet care industry. As part of the Mars family of companies, we are privileged with the freedom and the flexibility to fight for what we believe in - and we choose to fight to make our vision a reality. For more information about Mars Petcare, please visit http://www.mars.com/global/brands/petcare. Join us on Instagram and LinkedIn. Mars is a family-owned business with more than a century of history making diverse products and offering services for people and the pets people love. With almost $35 billion in sales, the company is a global business that produces some of the world's best-loved brands: M&M's®, SNICKERS®, TWIX®, MILKY WAY®, DOVE®, PEDIGREE®, ROYAL CANIN®, WHISKAS®, EXTRA®, ORBIT®, 5™, SKITTLES®, UNCLE BEN'S®, MARS DRINKS and COCOAVIA®. Mars also provides veterinary health services that include BANFIELD® Pet Hospitals, Blue Pearl®, VCA® and Pet Partners™. Headquartered in McLean, VA, Mars operates in more than 80 countries. The Mars Five Principles - Quality, Responsibility, Mutuality, Efficiency and Freedom - inspire its more than 100,000 Associates to create value for all its partners and deliver growth they are proud of every day. For more information about Mars, please visit http://www.mars.com. Join us on Facebook, Twitter, LinkedIn, Instagram and YouTube. OptiGen is a veterinary diagnostic DNA company specializing in inherited diseases of the dog, based in Ithaca NY. OptiGen's founding members have collaborated for decades on projects in the fields of veterinary ophthalmology, molecular diagnostics, and canine genomics. Co-founders and veterinary ophthalmologists Gregory Acland and Gustavo Aguirre have gained international recognition for their award-winning work. They possess a wide range of experience with the problems and challenges faced by dog owners and breeders. Jeanette Felix, geneticist, has administered research grants for human inherited retinal disease studies and is the CEO of OptiGen. OptiGen's President, Sue Pearce-Kelling, joined the OptiGen team following more than 15 years of laboratory research with Drs. Aguirre and Acland at Cornell University College of Veterinary Medicine. As a scientist and a former golden retriever breeder, Sue appreciates the powerful advantage that DNA testing can provide to dog breeders who strive to produce only the best and healthiest dogs.